Address Opposite Rithala Metro Station, Sector-10, Rohini, Swarn Jayanti Park, Sector 10, Rohini, New Delhi. Distance From Places 500 meters from Rithala Metro Station. Extra This place is also used for Branding & Shooting purposes. 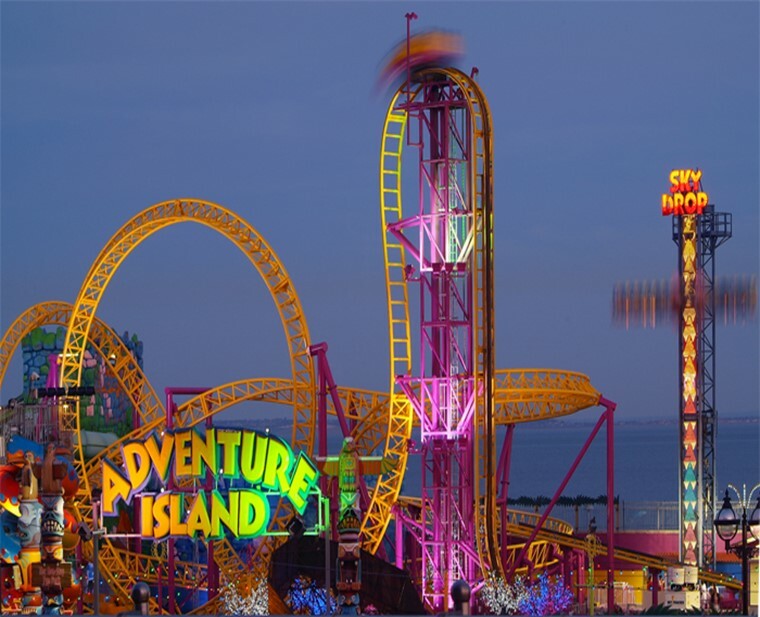 People Love For Place Different adventure rides including water rides and boating .Although, fun time place especially for kids and young people, it's applicable to all age groups. Extra 67 distinct types of birds can be found for Photographers. Buffet Lunch is provided.Additionally,Music system to enjoy the atmosphere. 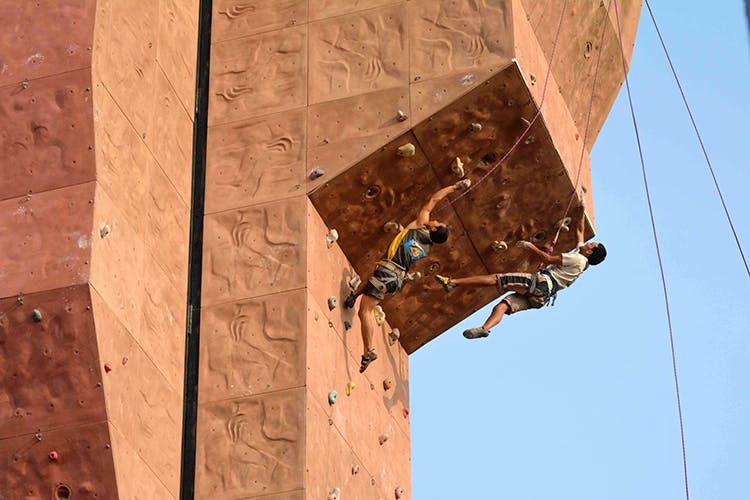 People Love For Place Adventure Activities : Natural rock climbing ,Rappelling & more activities. Beautiful Cottages and outdoor activities. Des Different adventure :Art of river crossing .Obstacle Courses include Tunnel Crawl,Parallel Ropes,Tarzan Swing and outdoor sport activities. Distance From Places 60 KM from I.T.O Delhi. Extra Additionally different types of boating :Row Boats, Paddle Boats, & Motor Boats. People Love For Place People come here for Hot Air Ballooning, Para Sailing, & rock climbing. Des It is a Picnic day for Family & Friends,Corporate Team Outings. Address Waterbanks Resort at Damdama Lake, Gurgaon. Extra Tranfer to Island after arrival by boat.Buffet Lunch and evening snacks provided. People Love For Place Stylish cottages,Theme evenings,Barbeque,Bonfire,Outdoor Activities. Des Different Adventure sports: Burma bridge,Valley crossing,Trampoline,Barrel crossing ,and many more activities. Address Kalindi Kunj Park, Adjacent to Kalindi Kunj Metro Station, New Delhi. Extra LCD Screens & intercoms are installed. Apart from beautiful view of Delhi city on Wheel ride,after the ride one can go for other tourist places at short distance. People Love For Place The top view of lush greenery and Monuments in Delhi. Des Wheel ride is 148ft high.20 Minutes ride in air -conditioned cabins consisting seats for 8 people per cabin. Address Sector 17-18, Link Road, Near Green Park Vatika, Gurugram, Haryana. Distance From Places 30 KM via Old Delhi Gurgaon Road. Extra It is a budget friendly, at a time 5 can run in parallel path,Helpful Trainers. Des One can get 7 Laps . Distance From Places 45 KM via NH 48 and 46 KM via Mahatma Gandhi Marg. Extra It is a Weather Based Sport. Beautiful Aerial View of Nature ,some rose gardens , and Farm Houses on Airborne Craft is a beautiful experience. People Love For Place The Aerial View of suburbs,Land and Birds flying around are a treat to watch. Des 3 types: Kitty Hawk,Fly Yourself,Explorer. Address Benito Juarez Marg, South Campus, South Moti Bagh, New Delhi. Distance From Places 23 KM via Mahatma Gandhi Road. Extra Artificial rock climbing wall, a speed climbing wall, bouldering pit, and natural rock faces. People Love For Place People love the experience of Wall Climbing and meeting other experienced people. Des There are different sides of Pillar has different levels of climbing. One can get 4 Hours of Climbing. Extra This thrilling experience lets you enjoy the aerial view of Delhi Suburbs and Village farms. People Love For Place Adventure people love to fly in the air around 700 feet high. Des 30 mins Air Safari performed under the Trained Pilot. Opening Hours Sunday 8 A.M.. to 12 P.M.
People Love For Place People come here to enjoy adventurous sport of hill climbing. Address Shikhar Adventure Park, Near Hayatpur Village, Pataudi Road, Sector-92, Gurgaon, Haryana. Distance From Places 20 KM from Gurgaon Rd. Extra Best place for school kids picnic,Birthday parties and other events are also well organised. People Love For Place People love Adventure activities : Jumaring,Monkey crawling,Commando net, Mogli walk ,etc There are many activities for Official Team outing folks. Music,Dance and Bonfire are additional fun activities. Des This place is best for Family Outings,Educational Outings,Corporate Outings,and Camp Activities. Extra All Terrain Vehicles are one of the must try adventure sports. People Love For Place Racing with friends or others. Des 30 mins adventure ride on 200CC ATV. Address Raliawas, NH-8,, Dharuhera, Gurgaon, Haryana. Extra Welcome drinks ,breakfast,lunch,& evening snacks provided. People Love For Place Fun activities for Children/Family Groups and Corporate Teams. 12 low rope adventure activities for children and 13 high rope adventure activities for adults. Des Valley Crossing,,Thrilling Stretch,V-Bridge,Swinging Woods,etc. Booking Packages for Family,School,Banquet Parties,Corporate Team Outing. Address Purana Qila,Near Delhi Zoo. Distance From Places 4 KM via India Gate Circle. Extra Enter into deflated plastic ball which is filled with air. Have 10 mins of Water Zorbing. More fun for kids and group of people. Opening Hours 7 A.M. to 5 P.M. (All days). People Love For Place People come here for Adventure Sports, Fitness Activity.